SquareOneLIFE has now been active and online for just under 6 months. As the popularity has increased and user behaviour was analysed, a decision was made to begin a redesign of the website itself. With this release come many improvements under the hood to improve the user experience in mobile environments and also intelligently output data to improve speed. 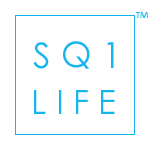 The look and layout of SquareOneLIFE has also changed with a more unique and fresh finish that focuses on the content and displays it in a visually appealing manner. Functional improvements have also been implemented and certain unpopular pages have been cut to help keep everything concise. Constant small improvements and additions will be made to the site within the coming weeks and months as the journey to keep this the best Square One condos resource page continues. Improvements to the rating system have been incorporated into the new design. There is now a separate Author and User rating setup with comments being able to be left at the bottom of most pages. In the previous version there was simply a 5 star rating. Now there are several different criteria which produce a final 5 star average rating. This helps provide a more accurate Square One condo review and increases ease of use by displaying it in a visually pleasing manner. The Square One condo reviews allow users to quickly get relevant information about the different condominium buildings, however in the previous version it was difficult to keep track of the Square One condos. With this SquareOneLIFE update, an internal bookmark system has been integrated. This allows you to simply favourite a Square One condo building by clicking the star at the bottom of the page or opening the side menu via the button at the top of the page next to the search. This way you can keep track of which Square One condos are preferable and quickly access them at a later point in time. The information is stored in your cookies and therefore is not lost once a window or tab is closed. The Search function now also includes instant results for faster navigation. Square One condo galleries also have gained improved mobile functionality and image presentation. A single word to define this upgrade would be “streamlined”. SquareOneLIFE is always adapting and improving, this is the state of the modern internet world. Just like Facebook has transitioned through various features and layouts, so is SquareOneLIFE. This is all with the aim to improve and perfect the user experience so you can access relevant Square One condo information with ease. Additions which will come in the next time period will be Square One condo floor plan inclusions and other technical details. This post is aimed at quickly introducing you to the main new features here which may not be as apparent as the graphic interface change. For further questions or to speak with a Square One condos professional click here! What is Kitec Plumbing? Why does it matter?